Kendall DCJR Soldotna is excited to offer this 2016 Chrysler Town & Country. When you purchase a vehicle with the CARFAX Buyback Guarantee, you're getting what you paid for. You appreciate the finer things in life, the vehicle you drive should not be the exception. Style, performance, sophistication is in a class of its own with this stunning Chrysler Town & Country. The look is unmistakably Chrysler, the smooth contours and cutting-edge technology of this Chrysler Town & Country Limited Platinum will definitely turn heads. More information about the 2016 Chrysler Town & Country: The Chrysler Town & Country's 283-horsepower Pentastar V6, which includes a driver-selectable Fuel Economizer mode, is mated to a 6-speed transmission and uses premium low rolling-resistance tires to deliver an estimated 17 mpg city and 25 mpg highway. An impressive luxury-style interior and optional UConnect technology brings the latest in voice-activated multimedia connections, navigation and entertainment to Chrysler's premium minivan. Strengths of this model include impressive airbag array and safety engineering, Powerful engine, luxury interior appointments, electronic entertainment with dual-DVD systems, and advanced technologies with navigation. Kendall DCJR Soldotna has a wide selection of exceptional pre-owned vehicles to choose from, including this 2018 Ram 1500. Your buying risks are reduced thanks to a CARFAX BuyBack Guarantee. This Ram 1500 Night is for the discerning driver who demands the utmost of his vehicle. This vehicle comes with 4WD for better traction on unstable surfaces, like snow and dirt to give you the edge over anything you might encounter on the road. Beautiful color combination with Brilliant Black Crystal Pearlcoat exterior over CJX9 interior making this the one to own! Kendall DCJR Soldotna is excited to offer this 2018 Ram 2500. You appreciate the finer things in life, the vehicle you drive should not be the exception. Style, performance, sophistication is in a class of its own with this stunning Ram 2500. With 4WD, you can take this 2018 Ram 2500 to places roads don't go. It's all about the adventure and getting the most enjoyment out of your new ride. You can finally stop searching... You've found the one you've been looking for. There is no reason why you shouldn't buy this Ram 2500 Laramie. It is incomparable for the price and quality. Used cars for sale from a reputable car dealership? That’s us. 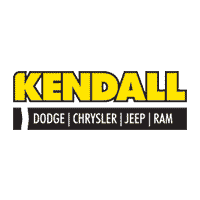 Kendall DCJR of Soldotna understands that not everyone is in the market for new Dodge, Chrysler, Jeep, RAM cars. That’s why at our used car dealership in Soldotna you will not only find new Dodge, Chrysler, Jeep, RAM cars, but also a wide variety of Dodge used cars for sale in Soldotna as well. We provide our customers who are looking to make an automotive purchase with many used car options. Furthermore, in our large selection of Ram used trucks we have an inventory consisting of Certified Pre-Owned cars. To ensure top quality, our certified vehicles have gone through several tests and multiple-point inspections. Search our inventory for a used Jeep in Soldotna and give us a call or contact us online if you have any questions, then come by our Kendall DCJR of Soldotna showroom. We look forward to the opportunity to help you find your next car when you pay a visit to Kendall DCJR of Soldotna! We are conveniently located at 44055 Sterling Highway Soldotna, Alaska 99669, just a short drive away from Anchorage, Eagle River, and Palmer. Visit our Soldotna used car dealership, have some fun, and test drive a few different used cars. 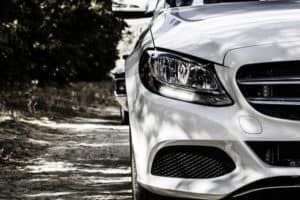 In addition to selling quality used cars, trucks, and SUVs in Soldotna, we also offer the Kendall Auto Protection plan on all qualified used cars. This auto protection plan covers you under the hood and down the road. It’s auto coverage offered by Kendall that allows us to be there for you when you after you drive the car off the lot. Ask one of our friendly sales representatives for more information about this amazing offer. Head on over to our Finance Center and apply for a Soldotna car loan. Regardless of your credit score, our friendly finance experts will help you find the right finance option for you and your budget. This includes solutions for good credit, bad credit, and no credit at all. At Kendall, we care about the person behind the score. We buy used cars and would be happy to help you value your trade. Get started today by filling out our online trade-in value form. This simple form will provide the true market value of your used car and the chance for a no-obligation car appraisal. Once you have enough information, you can make an informed decision about selling your used car to Kendall or a private party. Thank you for shopping our inventory used cars at Kendall DCJR of Soldotna. We hope we answered some of your questions and gave you more reasons to shop with Kendall. We look forward to helping you find the perfect used car for your budget and lifestyle!